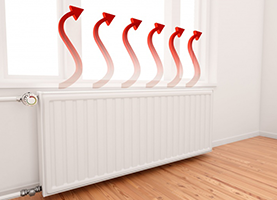 We, at LRT Air Conditioning and Heating, specialize in heating systems maintenance and repairs. Our HVAC technicians at LRT Air Conditioning and Heating are available for emergency repair service. We are always looking forward to helping you maintain a comfortable environment for your home or business. 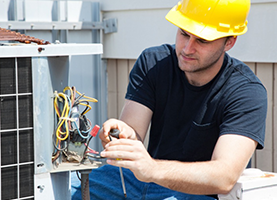 We are a fully insured and state-certified HVAC service provider, and have licensed, experienced technicians who are trained to provide prompt, courteous service. Your satisfaction is always our top priority, which is why we invest in training our employees on the latest in HVAC repair methods and technology. 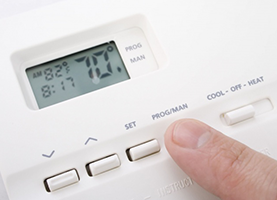 There is no HVAC system that our team cannot fix or maintain. In addition, we only use state-of-the-art equipment and tools in every assignment. This guarantees that we will go about our work in an efficient manner, allowing us to complete the job on time. For us at LRT Air Conditioning and Heating, quality HVAC services should not cost a lot of money. We always provide straightforward estimates and discuss the details of our services with customers. This allows us to answer inquiries and address the concerns of every customer before we begin our work. At LRT Air Conditioning and Heating, we are always ready to provide the highest service quality at prices that you can easily afford. When it comes to repairs, installation, or maintenance of your HVAC systems, all you need to do is call us for free estimates. Get on the phone today and get 10% off when you mention the website!